Here’s a quick update on the last few months. 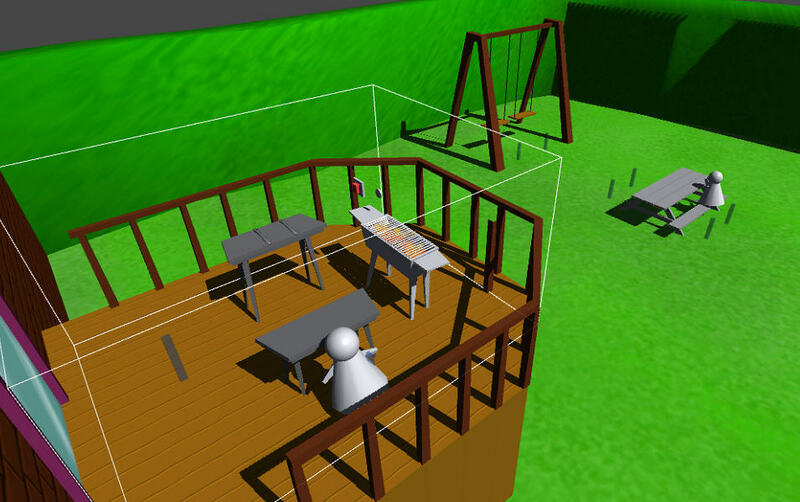 After putting my proposals together, creating a jam prototype in August and pulling as many strings as I could I managed to get an HTC Vive devkit to work on my BarBeeQ game! I got the devkit and a new PC to run it back in November. The game is coming along nicely. See my vrgames page for more info and a video of the prototype. Since the prototype was created in 48 hours it’s not really something that can be built upon easily. I was working with another programmer who did most of the coding at the jam (thanks Jonathan!). It was his first project with Unity but he did an admirable job pulling it together with the VR hardware. I’ve been building the next version starting from scratch while I flesh out the design and properly structure the code. One of the challenges I’ve had so far is with how to handle the controllers. In the jam version your hands were big forks that you could pick up the burgers with by holding the trigger. That was quite intuitive. In the current version I want to be able to pick up other things like ketchup and push buttons with your fingers. I still want to use the forks (or possibly a spatula) to flip the burgers though. After trying a number of things I’ve settled on using the trigger to pick stuff up and the thumb pad button to “use” them. I’ll have to do some playtesting to see if people find that intuitive or not. I’ve been slacking on updating this blog. I’m sure anyone reading this can relate. I haven’t been slacking on projects though! I am reaaaallly close to finishing up our first kids book for the iPad. The book is called Goodnight Coop and it’s designed to make your little one very sleepy. More to come. Wrapped up another 48hr game at the Iamagamer jam in Vancouver this month. 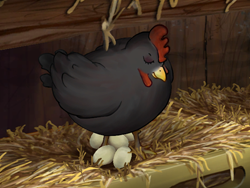 The theme of the jam was to create a game with a strong female character. 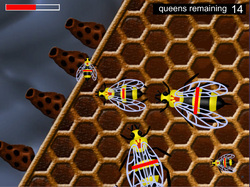 In Queen Bee you have just hatched along with a bunch of other queens. You need to fight to the death because “there can be only one!”. 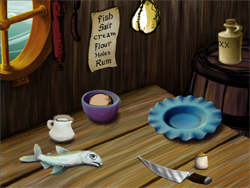 This month’s entry for OneGameAMonth is the pie building game from “Jane and the Kraken“. This project is an interactive illustrated kid’s book for tablet computers. I had previously done a version of this game but I wanted to redo it properly now that I have some better Unity coding chops. Because the game is basically one big state machine, I decided to use Playmaker to put it together. This iteration is a straightforward version with just one solution and single correct path to finding it. 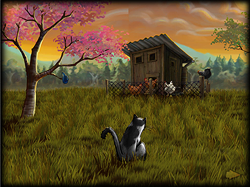 The main challenge is to figure out the correct sequence and get all the ingredients into the pie before the fish escapes. I have also been toying with a version where you can assemble the pie in a number of different ways. There would only be one or possibly two correct solutions but there would be interesting consequences for putting the ingredients together in the wrong order. For example, adding the dough before the fish will cause the fish to bounce off the dough, etc. I think that version would be more interesting but for the purposes of the book probably too complicated.